With this tool, teachers can leverage the collective knowledge of the entire CodeHS community. It's easy to share your own playlists with other teachers, or to use a playlist created by another teacher with your class. 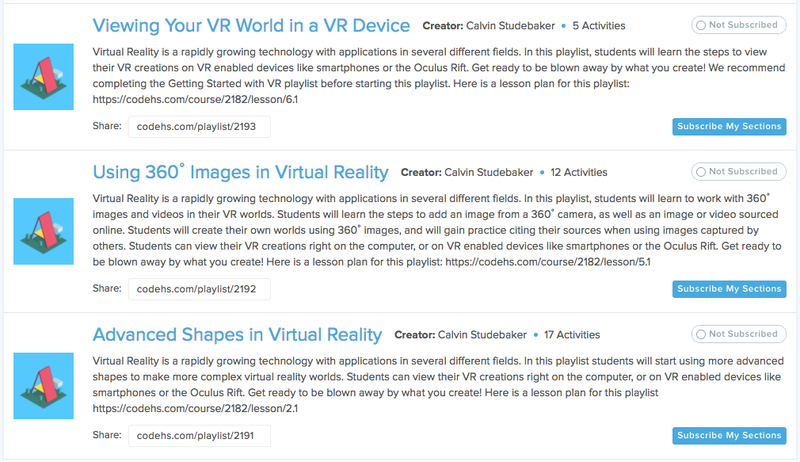 Teachers can find the playlist bank under the ‘Create’ section in the Toolbox, which is always located in the navbar at the top of the screen.